/ First time BMW buyer. I am currently driving a VW Jetta VI but desperately want to get into a BMW. I'm looking to get into a pre-owned 3 series, the 2013 320i's look affordable. My only concern is whether the 2012 - 2013 year models or BMW in general is affordable in respect to maintenance and service? I see a lot of people tend to offload these vehicles just before they are out of their motor plan. Is it fallacy that BMW's are just generally expensive to maintain, or are they expensive to maintain if you do not service them regularly? And would you advise me to go pre-owned? RE: First time BMW buyer. I would recommend you stretch your budget a bit more and rather look at the 320d. The 320d is a better car all round and has proven to be extremely reliable. The 320i f30s(especially pre 2014) have timing chain issues that could really break the bank when/if failure occurs. 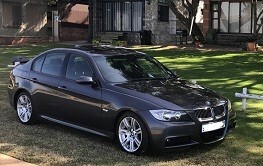 Thank you @schalk320d, you're not the first to advise me to look at the 320d. If i am to be honest, breaking the bank is absolutely not an option as the purchase is cash and if the vehicle is not within my budget i need to walk away from it. That is why i was looking at vehicles within the 2012 - 2013 period as they fell within the 'budget'. With this in mind, and the short comings of the pre 2014 f30s, would your opinion/recommendation be i wait until i can afford either a 2015 f30 or a 320d? Does this mean you perhaps do not rate the pre 2014 320i's? I would say wait it out a bit and save a little more to get a post 2014 car, Just remember the G20's are going to be launching soon and once they launch the prices of the f30's should come down even more then you will be able to pick up a decent f30 320d within your budget. (11-02-2019 02:36 PM)Maggsie Wrote: Thank you @schalk320d, you're not the first to advise me to look at the 320d. If i am to be honest, breaking the bank is absolutely not an option as the purchase is cash and if the vehicle is not within my budget i need to walk away from it. I would personally rather go for a higher mileage 320d(provided that it has a good service history) that should then fit into you budget that you had in place for the 320i. The 2014 and on 320i's would definitely be more reliable than the older ones due to the revised timing chain and guides,but the fuel consumption is nowhere near the stated consumption, they are still good cars though. The 320d is the best car in the (real) world - period. But, still try to get one with either some Motorplan left or with at least a Full Service History. Regardless of brand, German cars (on average) will be more expensive to maintain compared to a Japanese car (on average). Just bear in mind that a 320d with an M-Sport Line kit will cost you a small fortune in tyre replacement, rim repairs and insurance. The sensible money says 320d base spec (or one of the other "Lines" - Luxury, Sport, Modern). Bear in mind that although the 320i will be cheaper, you could end up spending more money on repairs so you need to think long term. Try and squeeze in a 320d. Great and honest advice so far. I agree completely on the 320d diesel choice. But to answer your question about maintenance. YES, a bmw is "generally" more expensive to maintain. The big engine Audi's are worse but Bmws are hard on the pocket once they out of Motorplan. Consider at least a warantee plan for the first year of ownership.